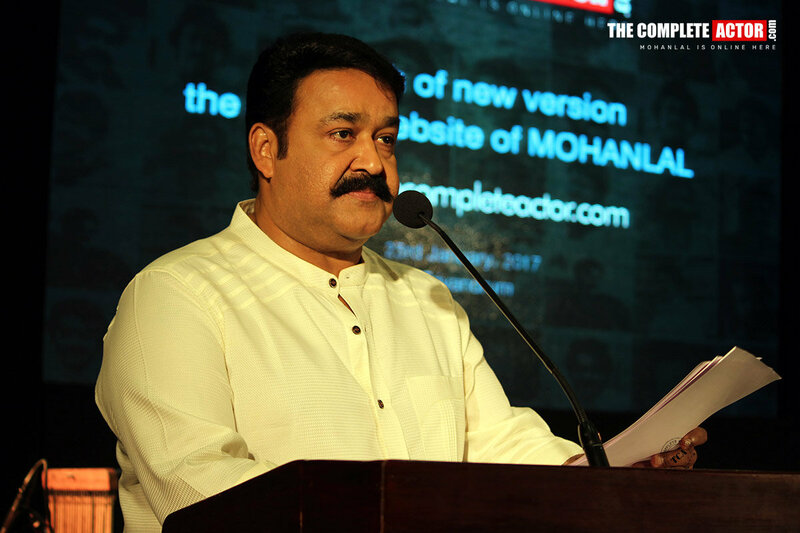 The new version of Mohanlal's official website thecompleteactor.com was launched on 23rd January 2017. Legendary actor Jagathy Sreekumar launched the new version at an official function held at Trivandrum. He was also the one to launch the first version of thecompleteactor.com in 2009. The function was attended by close friends and associates. Famous Violinist Balabhaskar performed in the event. The website is designed and powered by Leniko Solutions. The new version of the official website has several new and attractive features. The website has information on the personal and professional life of Mohanlal. The new version has features like LalStore, an online not-for-profit e-commerce site for buying books of Mohanlal and props used by Mohanlal in his movies, it also has the option to bid the articles, the proceeds from this will be used by the charity programs initiated by TCA. The website has segment "Army Page' which is updated regularly about the vacancies available in Indian Army, through this page, youngsters are made aware of their opportunity to mould and grow themselves by serving the country. Another section 'Blood Bank' is a platform to bring blood donors together. Another notable segment of the website is ‘Forum’ that allows the free discussion on anything and everything related to movies. Moreover, the site has a good collection of photos and videos in photo and video Gallery. All the movies are listed and the details regarding the crew and story are also included. Android app ‘ Mohanlal Official’ is also part of this new version, which can be downloaded for free.